I will teach you how to select some high school woodworking projects. It is important because they should be simple and affordable and something that is not gender specific, so boys and girls can both do it. High school projects should be easy and affordable with equal opportunity for boys and girls to build them. Another factor is cost, it shouldn’t have too much expense to it as it could be a problem so building high school woodworking projects out of scraps is a viable alternative. Simple projects like bird houses, boxes, laminated cutting boards, anything that doesn’t involve the use of dangerous equipment like table saws is recommended. 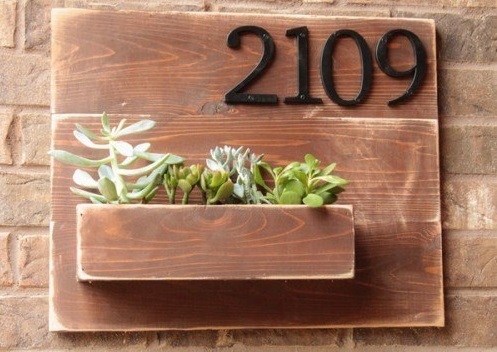 This is a very good woodworking project for high school students. Things to consider: The dimensions of the bird house will vary depending on the species you want to attract. For example: 30 cm tall and the roof will have a forward tilt of roughly 10 degrees. I prefer to not have the roof slanted backwards, it allows water running on the back wall when it rains. After cutting the roof angle on the first side piece, flip that piece over on to the board from which it came and mark the same angle again. This will automatically produce 2 side pieces that both can have the heartwood facing outwards. To create a tight joint where the roof attaches to the walls, the front-end back pieces should be cut to the same angle as the side pieces. Now if you completely forgot about that like I just did, you can always take a sharp hand plane and chamfer the edges to the right angle. Remember I said you want to orient the heartwood outwards. Well this is because of the way the wood tends to cop at it dries. If the heartwood is oriented inwards the copping action can have a nasty tendency to work fasteners out of wood overtime. This is specially a problem if you are using nails. You end up with gaps in the joints and eventually the entire construction may fail. This is why I like to use screws and water resistant wood glue, but it is still a good habit to orient the hardwood outwards in a construction of this kind. The birdhouse will be battered by the elements and the changing of the seasons for many years. So you want your construction to be solid. On a typical birdhouse of this height the center of the entrance should be approximately 8 centimeters from the top of the front wall. If you want to, you can drill the entrance at a slight upward angle. This will minimize the chance of water getting in. This is just another tip for making the construction a little bit safer for the inhabitants. Cleaning and maintenance of the birdhouse is important. Old nesting material can hold parasites and moisture making a birdhouse undesirable to the birds and increasing the likelihood of it falling apart in a matter of years. Having the front wall hinged on a couple of screws is one of the easiest ways for gaining access to the birdhouse when you’re high up on a ladder. In setting the bottom between the walls is possibly one of the most important aspects of making the safe birdhouse with a long service life. Simply, but joining the bottom to the underside of the birdhouse can allow water to collect on it and soak into the end grain of the walls. This could kill the chicks in the nest and shorten the life span of the birdhouse dramatically. For the bottom regular, wood will do just fine, but it often tends to get quite humid inside so something like exterior-grade plywood is also a good choice. However you do want to avoid anything pressure-treated as that could have toxins leaching into the nest. Because of the way this is constructed you may find that the front is binding after screen the bottom in place. Simply take a couple of shavings off the sides at the front and it should loosen up. To lock in the tilting front fall I simply drill some holes and put in some loose fitting nails. If the nails keep falling out, bend them slightly and they should stay in place. For the roof I am also using exterior-grade plywood and it’s a good idea to have it overhang the walls on all four sides. The front overhang should be left even longer to provide protection for the entrance and to let water drip off without it running down the front wall. Adding a predator guard it’s a good idea, it will likely not hold back woodpeckers as they just seem to work their way to the walls but for squirrels it will be a major obstacle. Adding a roosting pin below the entrance hole is a big no-no, the birds don’t need it and neither do the predators that are trying to get in. The diameter of the guard plate should match that at the entrance precisely, in this case 32 millimeters. After fastening the guard around the entrance, make sure there are no sharp edges. Mounting the birdhouse to a frame should be considered optional but it does allow for better air circulation between the tree trunk and the back of the birdhouse. Once again the idea is to let the wood dry faster after a rain and avoid structures that will hold moisture. 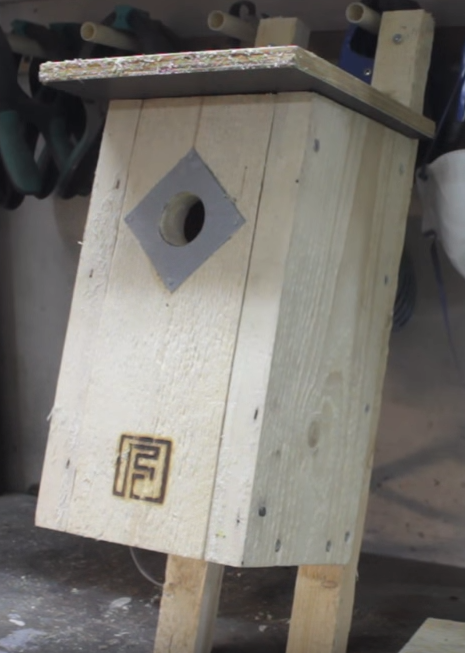 Now obviously this is not the easiest or the fastest way to make a birdhouse but if you do care about your feathered friends and about solid long lasting construction then I hope this article has provided you with some information that is often overlooked. Bandsaw vs Scroll Saw – What’s the Difference?